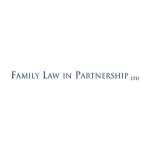 · relocation of a child both within and outside the jurisdiction. Charlotte Symes has a corporate law background having previously worked for a City firm before moving into family law. As no personal situation is the same, Charlotte Symes believes in the importance of listening to her clients to provide the service that they need. She intelligently advises them of the right process for them, whether that be solicitor led negotiation, litigation at court, arbitration, collaborative practice or mediation.